Years ago, my church started a new congregation for high-schoolers. It was an exciting time. But there was one thing I never understood. Whenever it was time for one of the student ministers to preach, they were incredibly anxious. Sweating blood anxious. For them, speaking to teenagers was on the same level as jumping out of a plane without a parachute while wrestling with an irate grizzly bear. Being only a few years out of high-school myself, I didn’t understand what the big deal was. I think they would have been more confident if they had read Fields and Robbins book Speaking to Teenagers. This book is a really helpful resource. It takes the reader through every step of the process of giving a talk, from why you should speak from God’s Word, to how to prepare your talk, to delivering the talk. Fields and Robbins explore every detail of the process. The section on gathering material for illustrations, while something I had heard before, was inspiring. It made me want to take it to the next level. The book as a whole inspired me to work on the craft of preaching to teenagers. To think through how I prepare my talks and how I present God’s Word. Preaching the gospel is an important job. 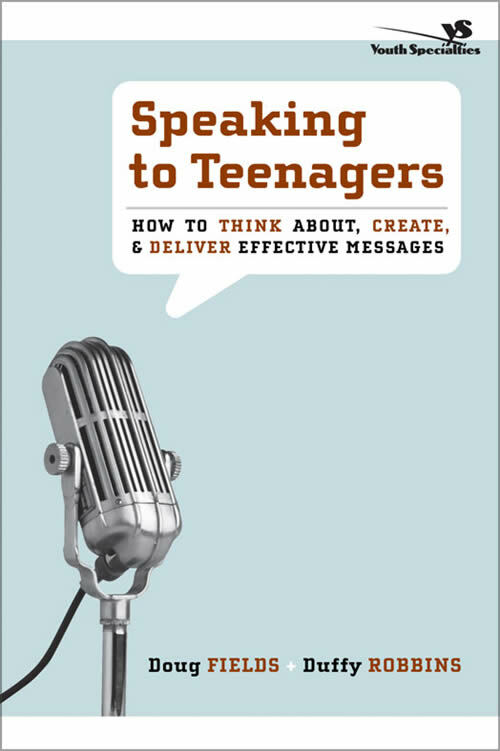 Speaking to Teenagers will help equip you for the task and hone the skills you already have. The book is easy to read and full of examples and illustrations (just like a good youth talk). The authors are humble and self-depreciating in their humour, which I found quite helpful. It gives a vibe of two men who have had a lot of experience and want to share it with you, even though they’re striving to improve themselves. They’re on the journey with you. While there are some parts of the book where I disagree with how they have approached some Bible passages (how they prepare 2 Kings 2 for a talk being an example), the method is what is important here. Reading this book will not make you a master youth preacher. You need to do the hard work in the Bible. You’ll need to grow in your knowledge of God’s Word. What this book will do is help you become more deliberate with your preparation and delivery. It will help you become a clearer and more effective preacher. And that is certainly a worthy undertaking.